You’ve seen media stories about how a trusted employee or a seemingly reliable contractor got caught defrauding a federal grant recipient or subrecipient. When you delve into the details, something fishy often had been going on for a long time, but no one in the organization noticed. And perhaps even worse, the situation frequently comes to light through dumb luck. Led by inspectors general in grant-making agencies, the federal government has been trying to prevent and detect fraud in federal grant programs for decades. In a highly decentralized system with tens of thousands of organizations involved with grants, fraud vulnerability is often greatest at the recipient and subrecipient level. So, it largely falls to those organizations to understand what grant fraud is, to recognize indicators that might arise in the design and operation of programs, and to deal with the consequences. 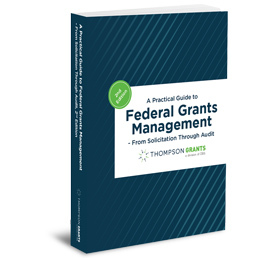 This session will help you assess your federal grant operations with a more sensitive nose and with open eyes. Join Bob Lloyd, Principal of Federal Fund Management Advisor™, for this informative session.